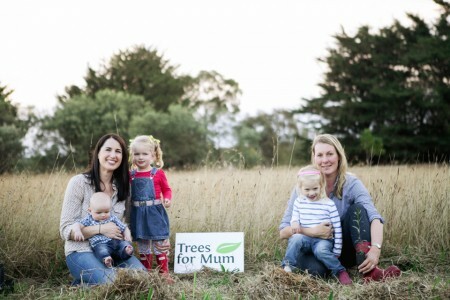 Woodend Landcare will once again be hosting Trees for Mum on Mother’s Day, Sunday, 11 May and we’d love you to join us. We’ll be planting from 9.30am to midday at the Rotary Community Exercise Track, near Buffalo Stadium on Forest Street Woodend. We’ll be near the monkey bars, to the left of the main car park. 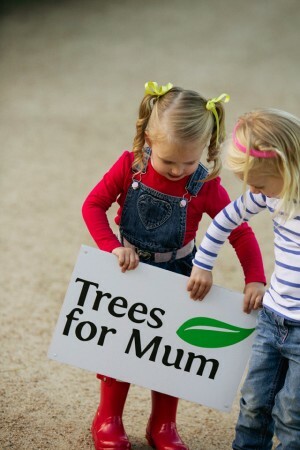 To reserve your tree email treesformumwoodend@gmail.com or call Angela on 0409 373 010 and then come along any time between 9.30am and midday to plant. Remember: please bring gardening gloves and wear sturdy shoes, we’ll provide the trees and planting equipment for free. Download the event poster here or like our page on Facebook to keep up to date. Kim Selby Photography for generously giving her time and talent for our photo shoot. The gents from Thursday crew and Woodend Landcare volunteers for preparing the planting site and ordering the trees.